The celebration of the 78th Foundation Anniversary of Koronadal and Hinugyaw Festival 2018 kicked off on Friday, January 5 with a civic military parade participated by different sectors followed by the Opening Program and the 13th Drumline Competition held at the South Cotabato Sports Complex. 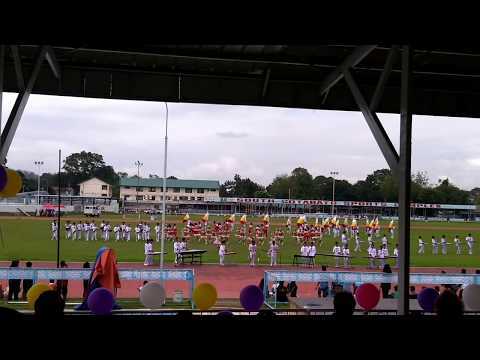 There were a total of seven (7) contingents which competed in this year's Hinugyaw Festival Drumline Competition namely: the Lake Sebu National High School (Lake Sebu), Allah Valley Academy (Surallah), Koronadal National Comprehensive High School - ANNEX Paraiso, Esperanza National High School (Esperanza, Sultan Kudarat), Bai Sarapinang National High School (Bagumbayan, Sultan Kudarat), Christian School of Polomolok (Polomolok, South Cotabato) and Koronadal National Comprehensive High School - Main Campus. The contingent from Esperanza National High School of the Muncipality of Esperanza in Province of Sultan Kudarat was declared as the 2nd Runner-up with a cash prize of P65,000 while Alah Valley Academy from Surallah, South Cotabato brought home the P80,000 cash prize after being adjudged 1st Runner-up. And this year's Champion of Hinugyaw Festival Drumline Competition with a cash prize of P100,000 is the contingent from Koronadal National Comprehensive High School - Main Campus.